“Anuran Cathedrals,” a paper sculpture collage by Tiffany Miller Russell, appeared at the 2015 Governor’s Show in Loveland, Colorado. This segment of the 9″x 20″ work is used with permission of T. Miller Russell. A love of nature, attention to detail, and infinite patience underlie the art of Tiffany Miller Russell, a wildlife artist in Broomfield, Colorado. Her medium: paper. 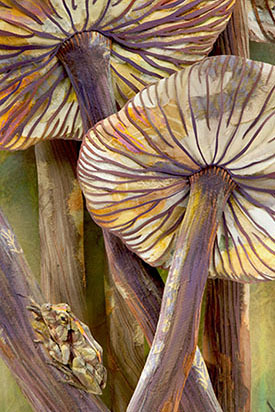 The variety of colors along the mushroom stems comes from applying soft pastel dust and contrasting torn papers to a long piece cut the shape of the stem. As for the gills, Tiffany cut them with a craft knife (more commonly known as an X-Acto knife). They’re actually one continuous piece of paper the size of each mushroom cap. The gills don’t look connected to each other because Tiffany has curled back the edge of the caps, true to the character of Xerula mushrooms. The stems look round because she gently bent the paper to look that way. Unlike a two-dimensional collage, “Anuran Cathedrals” consists of multiple layers softly sculpted and set off from each other. 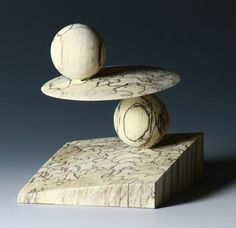 Small blocks of foam core, covered with paper for camouflage, hold the various elements of her composition at varying depths from the paper background. To see the image of it is a pleasure; to stand in front of it is a jaw-dropping experience. Tiffany Miller Russell sketches an animal in increasing levels of complexity before attempting to create it as a paper sculpture. Tiffany’s work begins with sketches — lots of them. She studies photographs of the animal she wants to create and makes a series of drawings, adding more details as she proceeds. She visits the zoo and studies the animal’s attitude and how it moves; then she makes more drawings based on her impressions. When she is satisfied with a drawing at last, Tiffany scans it into her computer and prints it. Over the computer print-out she lays tracing paper lightly sprayed with adhesive on one side. The adhesive holds the paper in place while she traces the part of the body she will cut first. Even more importantly, it holds the tracing paper in place while she cuts the first piece of her collage. “I use a craft knife for ninety-nine percent of my cutting,” Tiffany told me. That means that her paper lies flat on a cutting mat while she painstakingly retraces a shape with the point of her knife. She finds she gets the best results with Excel blades, which look just like X-Acto blades. 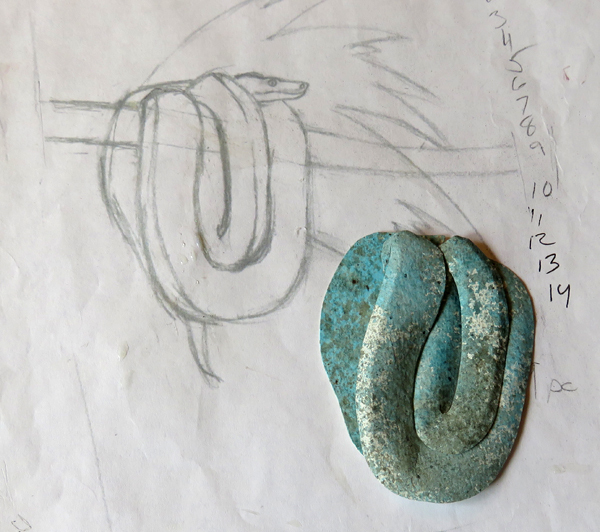 Three pieces of paper make up the coils of this snake, a work in progress by Tiffany Miller Russell. Tiffany worked on one of her limited-edition sculptures while she shared her artistic process with me. 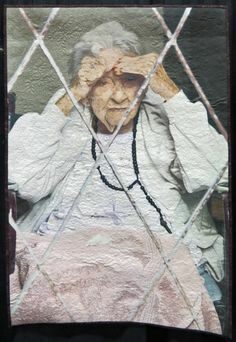 She had sponge-painted a white textured paper to use as snake skin. After cutting out the piece that looks like a U in the drawing, she scored it along the line that makes the U look three-dimensional. 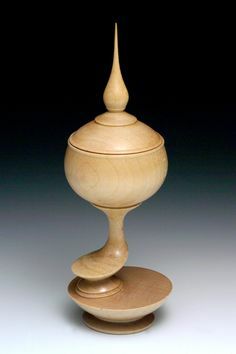 Holding the edges between her thumbs and forefingers, she slowly bent the paper where she had scored it and all along the edges. She followed the same procedure to prepare the piece that lies inside the U. Gluing came next. The adhesive: an acrylic glue that’s acid-free and tacky. The applicator: a toothpick. Tiffany applied a fine line of glue on the underside of the paper where the two pieces would meet. 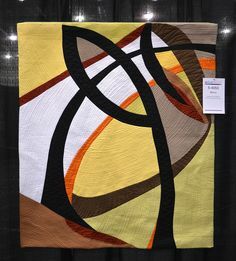 A pair of craft tweezers helped her align the pieces precisely. In the picture above, a third piece lies on the left outer edge, still in need of sculpting and gluing. In the upper left-hand corner of Tiffany’s website, you can see what the finished work will look like. Well, almost. Tiffany may make up to 20 versions of a limited-edition work, but she selects different paper for each. Many of her works, like “Anuran Cathedrals,” are one of a kind. 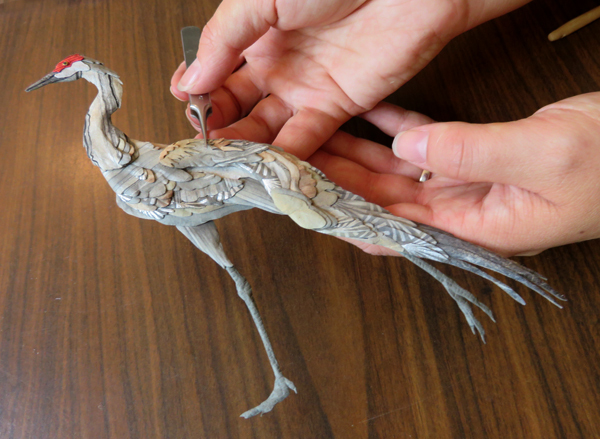 Before her compositions are finished, Tiffany can hold her paper animals separately from the rest of the composition — like the sandhill crane below. Tiffany Miller Russell cut, curved, and glued countless pieces of paper to create the feathers and structure of this sandhill crane. 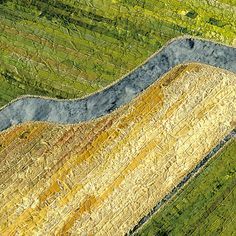 Countless pieces of paper, meticulously cut, curled, and positioned, give the crane color, depth, and complexity. Tiffany and I counted 15 pieces of paper in the head and neck alone. Even the tiny eye consists of three pieces. 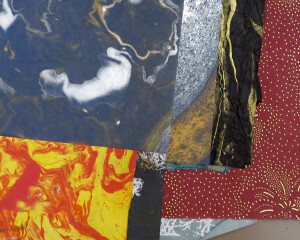 A wide variety of papers fill the drawers in the studio of artist Tiffany Miller Russell. As Tiffany opened drawers in her studio to show me her paper collection, my eyes enjoyed a proverbial feast. There were marbled papers and iridescent papers; smooth papers, textured papers, and handmade papers; sheets that draped like fabric and sheets with holes like lace. They’re a source of inspiration to her, Tiffany told me. Often a paper’s color and design will give her an idea for a project. When Tiffany selects a paper like those pictured here, she chooses the area very carefully where she will cut. She moves her tracing paper pattern over the paper, turning it this way and that until the colors and lines below it give the effect she wants. 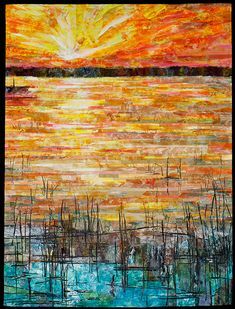 Her favorite places to buy art paper are Meininger and Guiry’s, both locally owned art stores. Tiffany is no paper snob, however. In addition to commercial art papers, she keeps a sizable collection of scrapbooking papers in a multitude of colors and patterns. 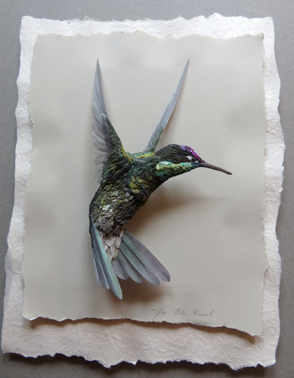 “Magnificent” features a male hummingbird, a paper sculpture by Tiffany Miller Russell. 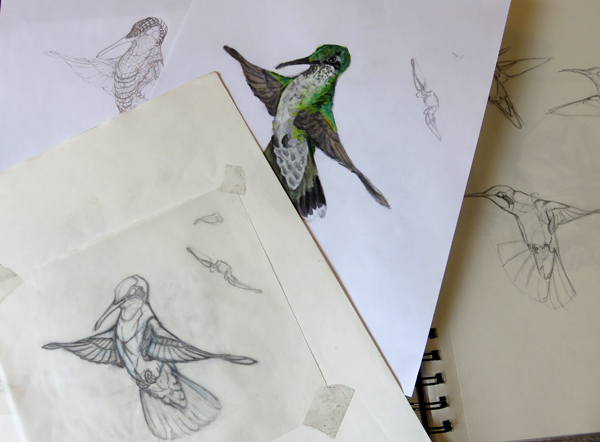 Tiffany is working on her second hummingbird. When it’s complete, she will have a male and a female to hang side by side. A single foam core block, covered with the same paper as the background, holds the completed bird aloft, as if it were truly in flight. I first saw Tiffany’s work at the 2015 Governor’s Show in Loveland. Her next public show will be in February. 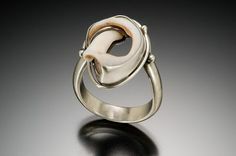 Niza Knoll Gallery in Denver’s Art District on Santa Fe will display award winners from the 2015 Summer Art Market. You can learn more about Tiffany’s work and the ideas that inspire her on her website at www.wildlifeinpaper.com. This entry was posted in Other and tagged paper art, wildlife art on November 4, 2015 by Sally.